Deora II – 1965 Dodge A100 Pickup Truck Transformed Into a Real Life Hot Wheels! The Deora was one of the original Hot Wheels die-cast cars to be designed in 1968 and in 2000, the car was reimagined for a new generation of fans. Deora II.Powered by a supercharged Northstar V8. Featured in the Hot Wheels movie Highway 35 – World Race. Built in 2003. Technically, it’s a 1965 Dodge A100 pickup truck that was heavily customized. 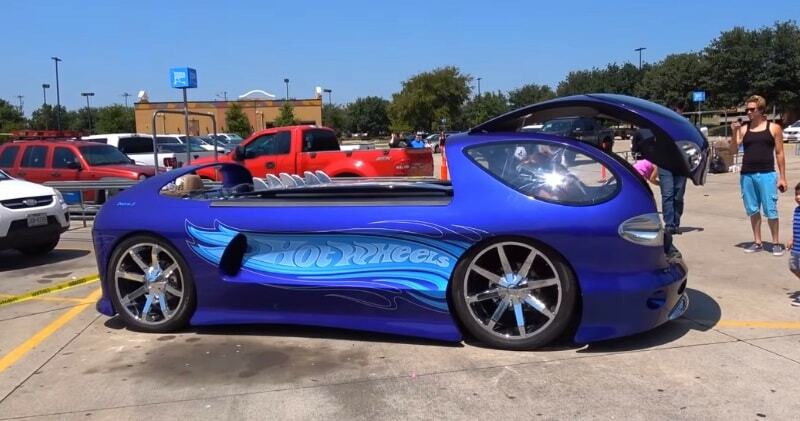 In 2003, as part of Hot Wheels’ 35th Anniversary, the Deora II was built into an actual 1:1 scale car. Hot Wheels teamed up with Chip Foose, Five Axis, Mother’s, and PPG Industries to pull off this amazing Hot Wheels original design. It was also featured in the Hot Wheels Highway 35 movie.